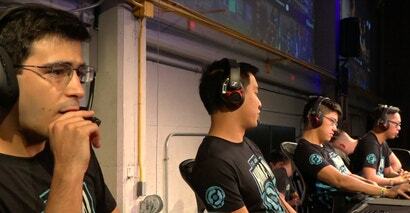 A team of three former Dota 2 pros, one current pro and a commentator played against five artificial intelligence bots last night at an event in San Francisco. The bots defeated the humans, 2-1, talking plenty of smack along the way. Go champions recently had their butts handed to them by Google's AlphaGo. If you thought video games might be safe from sophisticated AI challengers, at least for now, the bad news is the apocalypse is already here, with Dota 2 pro Danil "Dendi" Ishutin getting smashed one-on-one by OpenAI's Dota 2 bot.